The race is on! 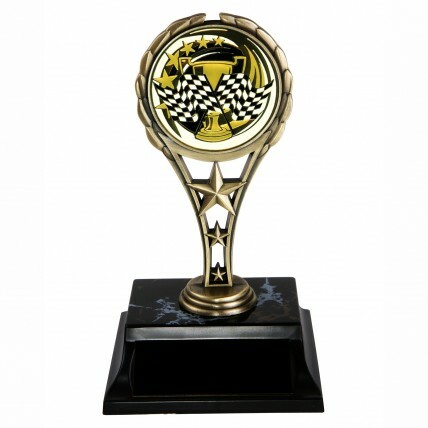 Take this Racing Flags Award to your next big racing event. Use this sturdy gold and black vintage style award as a participation trophy for all. Trophy stands 7" tall and includes 3 lines of engraving in the price. Get this awesome award personalized for any racing event!